You can run for the Miscarriage Association. You can cycle for the Miscarriage Association. But perhaps this year, you feel that you need more of a challenge. Whether you want to mark a loss, inspire others or overcome your fears, completing a charity challenge can be a significant life event. 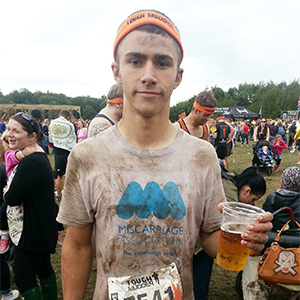 The Miscarriage Association partners with a range of organisations to give our supporters access to a range of charity challenge events. Whether you’re thinking about jumping out of a plane or trekking along the Great Wall of China, you’re sure to find something that excites and inspires you. Wherever you go in the world, whatever you achieve, you’ll also be raising funds for the Miscarriage Association to help us continue to provide essential support and information for those who’ve lost a baby in pregnancy. We’d love to have you support the M.A. as you take on your charity challenge event. a genuine interest and delight in your support! Take raising awareness and funds to new heights by undertaking a parachute jump for the Miscarriage Association, as Donna did. 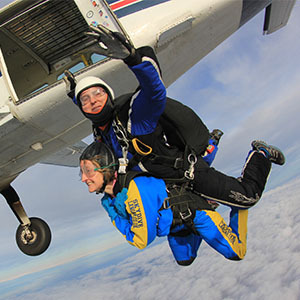 We’ve partnered with Skyline to offer charity parachute jumps from airfields across the UK. For more information, fill in Skyline’s online registration form. Spring into action by joining in one of our amazing challenge events, organised by Charity Challenge. Take part on your own, or with a group of friends, colleagues or family members and create memories that will last a lifetime. Whether it’s climbing Kilimanjaro, cycling in the Andes, trekking through the Amazon or abseiling and white-water rafting in Scotland, taking part in one of our sponsored challenge events is a fantastic way to raise funds for the M.A. The Miscarriage Association receives at least £1000 for each challenger we recruit. Find out more and register your interest on the Charity Challenge website.